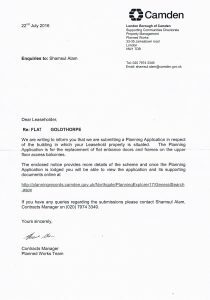 We are writing to inform you that we are submitting a Planning Application in respect of the building in which your Leasehold property is situated. 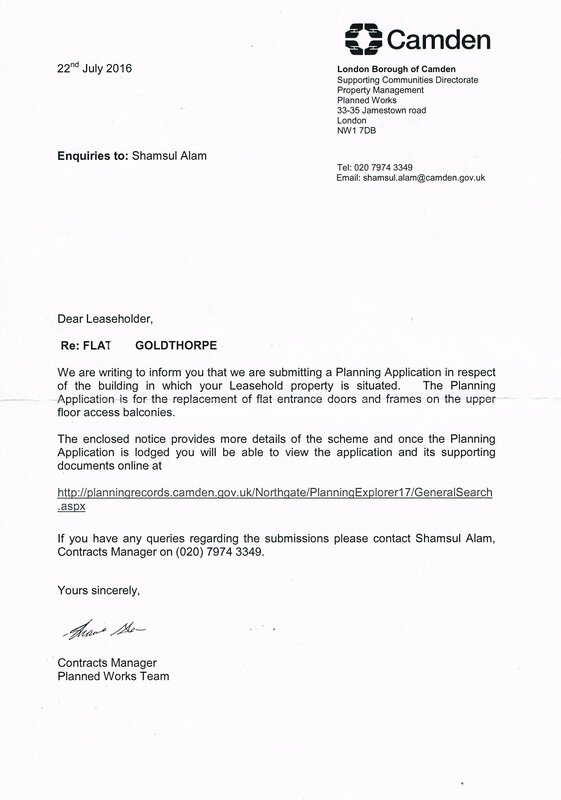 The Planning -Application is for the replacement of flat entrance doors and frames on the upper floor access balconies. If you have any queries regarding the submissions please contact Shamsul Alam, Contracts Manager on (020) 7974 3349. Replacement of flat entrance doors and frames on upper floor access balconies. 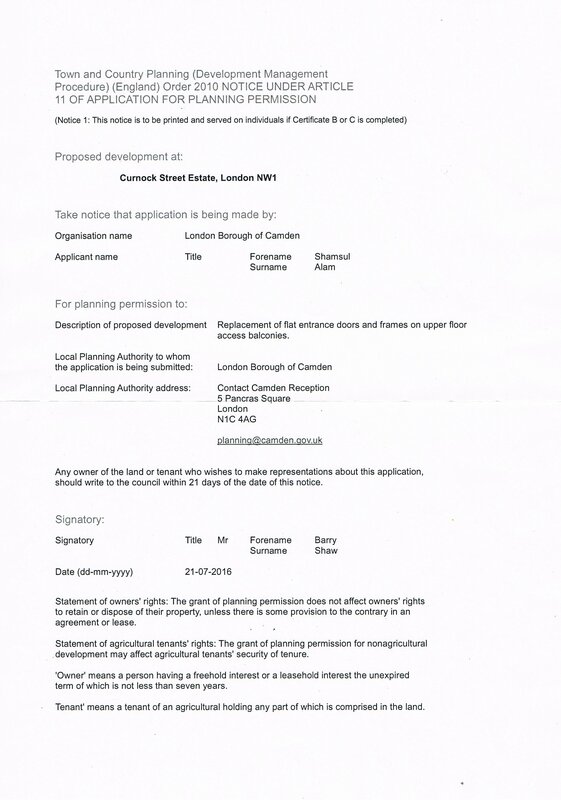 Statement of agricultural tenants’ rights: The grant of planning permission for nonagricultural .development may affect agricultural tenants’ security of tenure. ‘Owner’ means a person having a freehold interest or a leasehold interest the unexpired term of which is not less than seven years. Tenant’ means a tenant of an agricultural holding any part of which is comprised in the land. 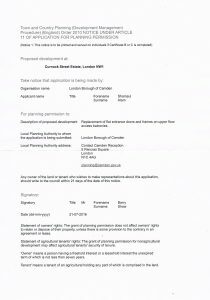 2016-08-17 Council Tenants Do Not Need to Know!